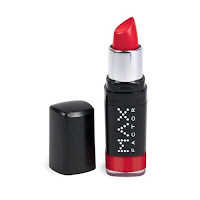 It's been reported back in 2008 by the New York Times and other outlets that during recessions lipstick sales sky rocket and it makes complete sense. During this time of economic troubles, it's wise to purchase small, comfort items rather than splurge on designer clothing and other types of luxury items. Therefore, why not invest in a beauty product that will last and make you feel luxiourious and feminine each time you wear it for a very affordable cost? Red lipstick. Genius.